President Trump has accused Hillary loyalist, Sally Yates, of being the leaker of classified information to the liberal media. Former acting Attorney General Sally Yates, who warned the Trump administration about contacts between one of its key advisers and Russia, will testify Monday before a Senate Judiciary subcommittee investigating Russian interference in the 2016 presidential election. 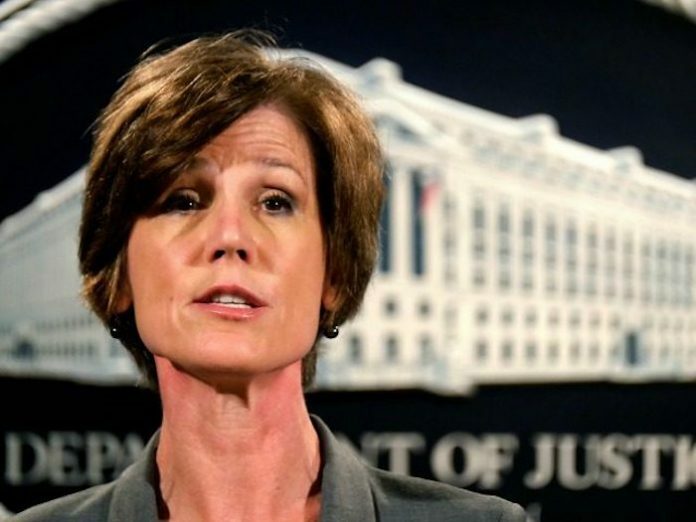 It is the first time Yates will get a chance to speak publicly about the concerns she raised. The hearing is expected to fill in key details in the chain of events that led to President Trump’s former national security adviser Michael Flynn’s resignation. 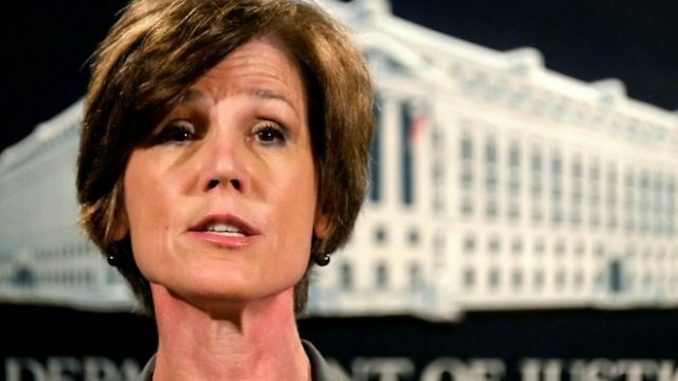 Thegatewaypundit.com reports: Yates was fired from her post as acting Attorney General after failing to support President Donald Trump’s Executive Order banning immigrants from seven terror ridden countries. On Monday President Trump alleged Yates was the leaker of classified information to the liberal media! Trump urged lawmakers to ask Yates about her leaks to the press! Let’s see if any of the Republicans will listen to their president! Will Monica Lewinsky Vote For Hillary Clinton? VIDEO: Why Are These 10 Things Illegal To Do In London?